Graded VG-EX+ 4.5 by PSA (submitted by REA). 1887 N172 Old Judge of Hall of Famer Jim O'Rourke (#358-1 pose) with the New York Giants. One of the great early stars of the game, O'Rourke batted .300 or better in thirteen of his twenty-two years in the National Association, National League, and Players' League, and was a member of seven championship clubs, five of them in Boston during the 1870s. He was also the first player to record a hit in National League history. When O'Rourke returned to the Giants to catch one game on September 22, 1904, at age 52, he became the oldest man to complete a Major League game. This is a very attractive card, perfectly clean front and back, excellent picture quality and contrast, just a little light wear on the still square corners (a bit more on the upper right), and centering toward the upper left. 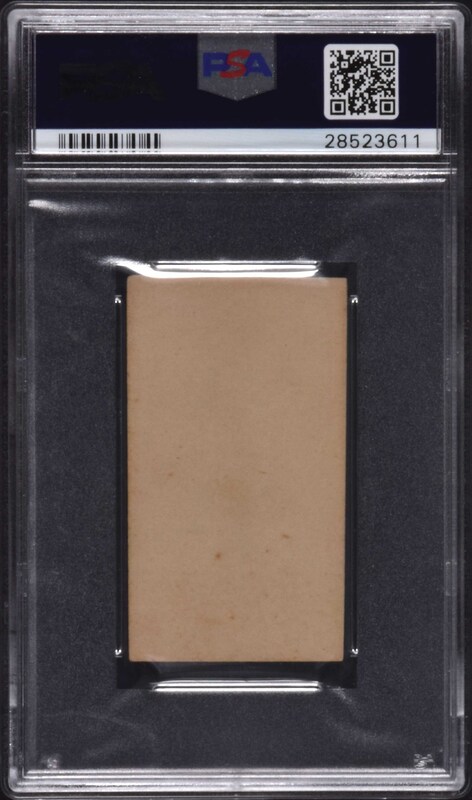 A light surface crease only visible on the reverse accounts for the assigned grade. 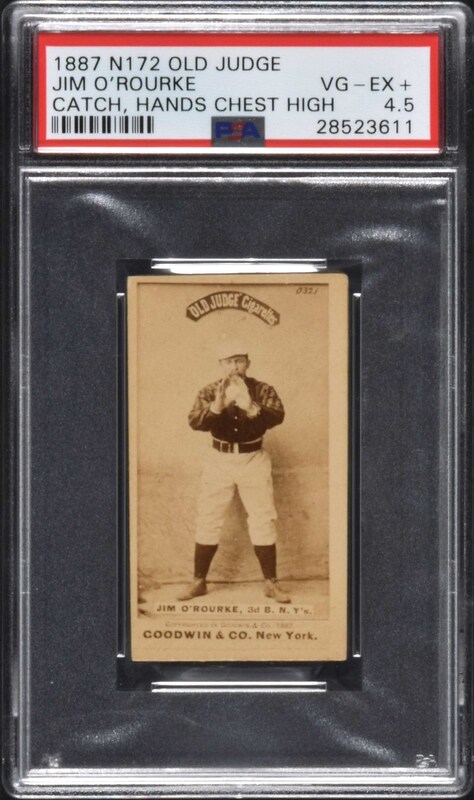 An outstanding N172 example of Jim O'Rourke worthy of any N172, Hall of Fame, or nineteenth-century card collection. Reserve $300. Estimate $500/$1,000+.